- Can the concept apply to the modern world? - What circumstances dictated the end of the Ottoman Caliphate? - Was the historical Caliphate (*Khilafah*) mostly a monarchy? - What would, or could, a modern caliph do for Gaza? - Would a modern caliph — - Be a trans-national emperor? - Only exude moral authority, like the Pope? - Be a national leader, like the Iranian model? - Be able to transcend sectarianism? FREE ENTRY: RSVP required on form below, on Facebook, or on Google+. Date and Time: Saturday 16th August 2014, 2 p.m. to 6 p.m. Parking: Library Parking is free on Saturday and can be accessed from Duke of York Blvd. Dr. Tahir Qazi is a writer and contributor to countercurrents.org, Patheos, Foreign Policy in Focus, South Asian Journal of Diplomacy, and has been a guest on political TV programmes. Dr. Qazi will talk about identity politics, evolution of the concept of state, and the search for identity in Muslim-majority countries – from a secular perspective. Javed Chaudry is a political commentator, writer and frequent guest on political and social TV programmes. His articles have appeared on countercurrents.org. Mr. Chaudry will present current geo-political realities and whether a Caliphate could fit into those realities or not. AK Shaikh will present an Urdu summary of the issues and aspects being discussed. This presentation wil. Be for our Urdu-speaking audience. AK Shaikh is an activist on Muslim identity issues and writer/blogger with a handle on the pulse of Muslim communities. He has a wide following among Urdu-speaking Muslims in Canada, UK, USA and Pakistan. 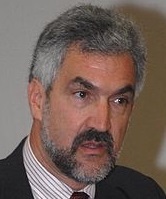 Dr. Daniel Pipes is president of the Middle East Forum. His bi-weekly column appears regularly in the National Post and in newspapers around the globe. He is also the publisher of the Middle East Quarterly Journal, and has been an advisor to the American Government in various capacities. His insight into the Middle East, Islamist extremists and Arab politics is probably unparalleled at this time. Imam Shehryar Shaikh is the Imam of Qurtabah Mosque and an Islamic researcher. He is an astute scholar of Islam, writer, debater and has a unique approach to discussing Muslim issues in a Western milieu. He will talk about the theological underpinnings of the Caliphate and its current relevance. Dr. Nevin Reda is an assistant professor of Muslim Studies at Emmanuel College of Victoria University in the University of Toronto. 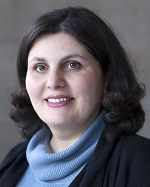 Her main research area is the Qur’an, often in relation to Islamic law, the Bible or women. She is also a participant in the Sharia debates in Canada and in Egypt and has publications in both English and Arabic on the topic. Dr. Reda will present a Qur’an-based theology of democracy, showing some of the quandaries associated with political ideologies that call for the application of a Sharia-based caliphate today. Munir Saami is a writer, public speaker, researcher and community activist who has a deep and thorough understanding of how historical and political issues impact everyday Muslims. His broad-ranging discussion will span historical and political aspects.